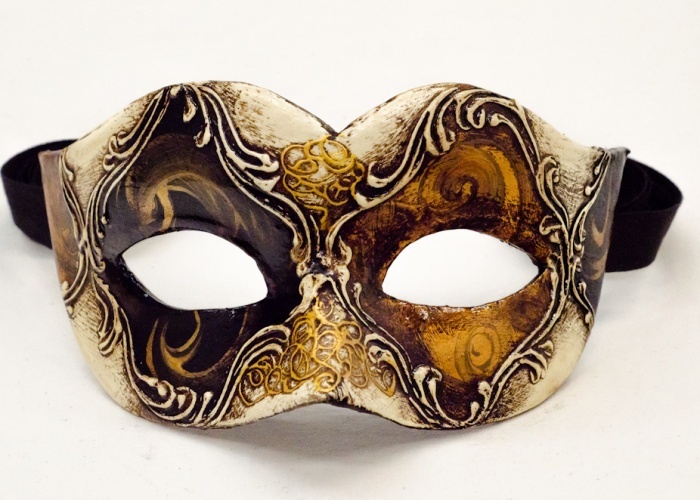 An excellent example of Venetian mask for men, this mask is both straightforward and elegant featuring warm colors. The black and gold are variegated with quick brushstrokes while the white is given an aged appearance using antique waxed patina. The decoration is finished with white and gold embossed stucco.